Bringing family and friends together at a time of loss is natural, and a socially-expected practice – and a funeral or memorial service, whether in a traditional or contemporary setting, is the first step in healing. At Shakespeare Funerals, we understand that families require flexibility in making decisions about funerals and our professional service and fees reflect this. From the simplest service to the most complex, we are able to assist families with professionalism and quality. We also focus on providing the finest quality products and services, including coffins, caskets, urns, flowers and vehicles. 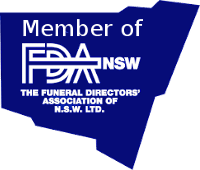 As a full service funeral provider, we are able to assist you with every aspect of the funeral to make it unique and designed for your exact requirements. • Professional Services: these are the services the funeral director performs: e.g. managing the funeral arrangements, preparing the deceased, conducting the funeral. • Funeral Elements: these are items that the funeral director provides for the family: e.g. coffins, caskets, monuments, memorial stationery, urns. • Funeral Arrangements: these are other people and organisations that we deal with to carry out the funeral: e.g. cemetery, crematorium, civil celebrant, newspaper, florist, doctor. Although you will have limited time, we encourage you to take your time when planning your loved ones funeral – give yourself and your family plenty of time to discuss arrangements for the funeral day. You only have one chance to get the funeral right; to celebrate the life of your loved one in the most appropriate way.